Dunbar and Boardman first opened a Leeds office during November 2002 in Westgate House at 100 Wellington Street in the city centre. The first project that the office worked on was Tower House Leeds now known as Tower North Central. Tower North Central is a 77 metre high office tower with 20 floors situated at the top of Leeds city centre on Merrion Way close to the Merrion Centre. Initially constructed in 1967 it was refurbished during 2003-2004 and now provides 76,800 sq. ft. of office space. The refurbishment included modernisation of a four-car group of passenger lifts for Jones Lang LaSalle. Asda - We completed a number of stores for Asda in 2014 including their new Mosborough store near Sheffield. 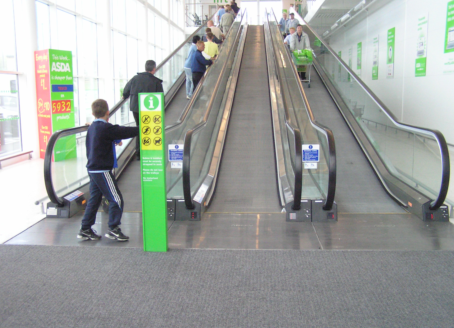 That project required: 3 x moving walks, 2 x Passenger lifts, 1 x DDA platform Lift & 1 x Dock Leveller. All installed by Kone Plc. Wm Morrison Plc – During 2014 we also completed a number of stores for Morrisons including their new Weybridge store. 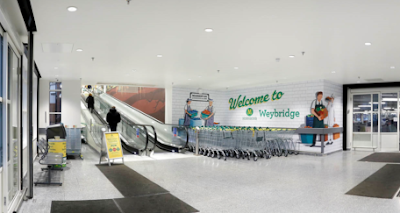 Two moving walks and two passenger lifts were installed at their Weybridge store. 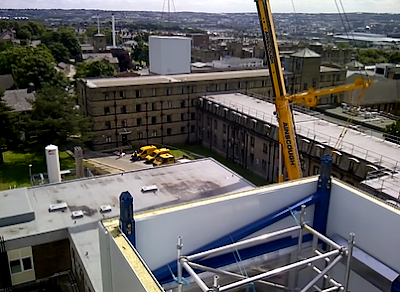 Bradford Royal Infirmary - D&B drew up the specification on behalf of Bradford Teaching Hospitals NHS Trust. The project required the installation of 1 x 2500Kg 33 person Bed Evacuation Lift including a modular lift shaft. Pickering's Lift won the tender to manufacture the lift; Traditional Lift Products constructed the modular shaft. The lift equipment was installed within the shaft modules by Pickering’s at TLP’s factory unit in Knowsley. 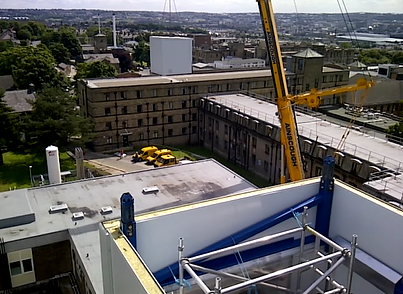 The five storey lift shaft & lift equipment was installed in 3 days. Do you have a current or planned project in the Leeds area? We would be happy to discuss any such requirements and how we may be able to assist. Please contact us via our Leeds Office and ask for Paul Hastings to start the conversation. We look forward to hearing from you. It is valuable for everyone.